Azerbaijan is a country that has reached important achievements in many spheres, Chairman of the Kuwaiti National Assembly Marzouq Al-Ghanim said. Al-Ghanim made the remarks in Baku on Sept. 21 at a ceremonial meeting dedicated to the 100th anniversary of the Azerbaijani parliament. “Azerbaijan always supports us,” he added. “Azerbaijan’s support for Kuwait’s membership in the UN Security Council testifies to that. Therefore, we feel proud that we are among our brothers and friends." 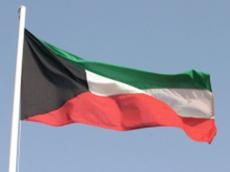 Speaking about the relations between the two countries, Al-Ghanim stressed that important achievements have been recently reached in the political, economic and cultural spheres between Azerbaijan and Kuwait. “There are great opportunities for further expansion of these ties,” he added. “In 2017, 20,000 Kuwaitis visited Azerbaijan, but we intend to double this figure,” he said. “This will positively affect the trade turnover and the process of making investments between the two countries. At the same time, we intend to intensify cooperation between the two countries in the cultural sphere. We are also interested in cooperation in the sphere of youth and sports." Al-Ghanim stressed that the Kuwaiti National Assembly is interested in strengthening cooperation with the Azerbaijani parliament. “There are good opportunities for cooperation both within the parliamentary organizations and at the level of interparliamentary friendship groups,” he said.